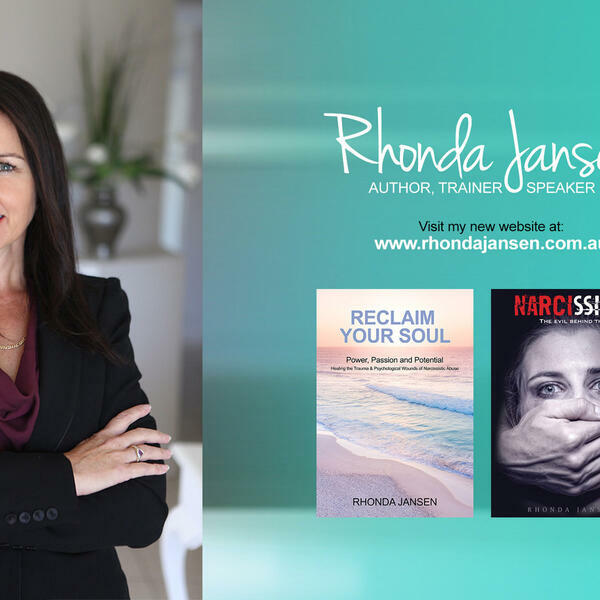 Episode 2 is with Rhonda Jansen, an Author, Trainer and Presenter penning Narcissism - The Evil Behind the Mask and her follow up book Reclaim Your Soul. Rhonda speaks about her experience of being married to and running a business with a malignant narcissist and how she managed to escape with her sanity and two children. She discusses how she reclaimed her life and offers perspective to others who need to free themselves from a similar situation. Rhonda also shares her thoughts in hindsight and offers suggestions for changing your mindset to gather yourself to leave these situations.